5G — or “fifth generation” internet — is the catalyst industrial mixed reality technologies need for today’s primary use cases to take hold. With 5G’s promise of virtually eliminating latency, augmented reality (AR) and virtual reality (VR) will finally thrive within the enterprise in instances when time is of the essence. Two primary use cases established for mixed reality in an industrial context are informational overlay utilizing AR (think technician repairs on- or off-site), and training and education in high-stress or dangerous situations (think training for an oil spill without the risk). While both of these use cases have seen success in experimentation and small-scale use, operators are still challenged by achieving real-time data flow to complete tasks in virtual and real-world environments — especially in areas of low signal. For example, a surgeon is needed to operate on a patient, but not at her hospital; the patient is halfway around the world. Utilizing a virtual reality headset, haptic gloves and virtual twin robotics onsite, the surgeon is able to operate without being physically present. This theoretical healthcare industry use case is only possible if there is zero lag between the actions performed by the surgeon and the effects happening in real time across the globe. For now, it’s relegated to training scenarios only. 5G will enable greater efficiencies in industrial uses of augmented reality. Or, consider a construction company throwing out its training and operator manuals and relying on augmented reality glasses, like Microsoft Hololens, to deliver all technician information in real time as needed to assist in repairs, part replacements, on-the-job training and more. This will only achieve operational efficiencies if employees’ AR hardware works appropriately in all locations served, sending and receiving data with ease even in the most rural of locations. This is especially true in an emergency scenario where real-time information is critical to reducing equipment damages or human danger. See what Caterpillar is doing along these lines today. With 5G connection, the aforementioned use cases — and many more — are not only made possible, but made better, with less margin of error. This is due to one of 5G’s greatest promises: low end-to-end latency that increases the amount of interactivity possible. According to Qualcomm, truly interactive remote experiences require low end-to-end latency, often ranging from 40 ms to 300 ms. 5G offers potential to bring over-the-air latency down to 1 ms. Increased hardware needs: When more employees can access information on-demand using AR glasses, goggles or helmets — in any situation, anywhere — expect to feel the effect on your IT budget. Continually measure the increased efficiencies achieved to justify expenditures. Greater visibility into operations: Alongside faster internet connections and increased bandwidth comes the potential to increase the information garnered from onsite sensors within your industrial IoT network. Consider the software and hardware implications in storing, analyzing and accessing the extra data quickly and seamlessly through a new tactile internet — as well as the ability to build applications on the fly. New revenue streams and scalability: Once 5G is available on a global scale, the potential scalability of workers in virtual environments will bring on new business models. Think of the possibility of scaling one worker’s abilities to hundreds of locations without expenses of travel. Or, scaling training initiatives using AR and on-demand educational content. Renewed focus on change management: As with any new technology implementation in the enterprise, change management principles guide employees into newly supported “digital first” roles. Internal education, along with an acceptance of failure and learning by experimentation, can help your workforce understand the benefits of utilizing mixed reality to perform their duties. 5G’s effect on industrial AR/VR programs is one of many ways we’re beginning to see mixed reality take a stronger foothold in employee operations, site and product maintenance, training, development, sales and more. 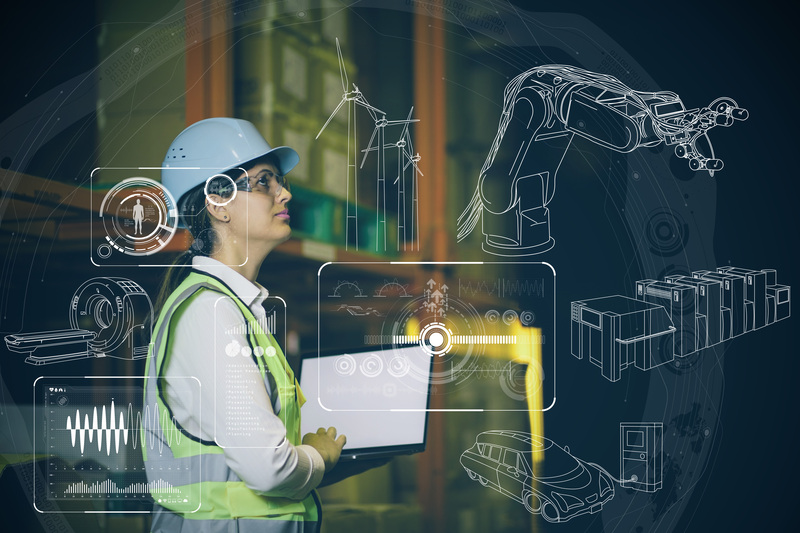 It’s an enabling technology that serves as the foundation for increased use of mixed reality, as well as other IIoT implementations that rely on fast, reliable data connections, coverage and speed. How are you planning for 5G’s role in your mixed reality and IIoT initiatives?